« I’ve been hobnobbing at Scaling New Heights. If you’re new to QuickBooks Point of Sale, get ready to expand your vocabulary. When you first start using QuickBooks, even if you’ve been doing manual accounting for your business, there’s a learning curve. You recognize some things, like check blanks and invoice forms, but you have to take on an unfamiliar workflow, deal with new words and phrases, and learn more about double-entry accounting concepts than you perhaps knew before. 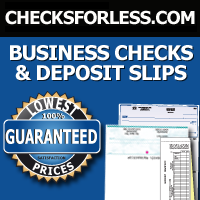 The same is true as a novice QuickBooks Point of Sale user. Whether you’re opening your first retail location or you’ve been selling auto parts or craft supplies or bakery goods for a decade, there will undoubtedly be some education required of you. Here’s a sampling of some of this new lingo that comes with the territory. You may look at the definition of a word or phrase and still be confused, but that’s where we come in. Seasoned shopkeeper or first-time seller, you will likely need our help when you first start using this complex piece of software. Figure 1: QuickBooks Point of Sale’s Financial Exchange establishes an ongoing connection to QuickBooks for data-sharing. 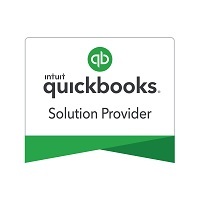 Quick Find: Found on the QuickBooks POS Navigator; functions as a search tool for locating customers, items, receipts, etc. Figure 2: You can enter a search word or phrase in the Quick Find box at the top of the Navigator page. You can see that there are a lot of new terms to understand when you begin managing your retail transactions using QuickBooks Point of Sale. We can help further your education by putting those words and phrases in context, so you can see where they fit in your workflow.